Purchased from the artist by Durand-Ruel and Bernheim-Jeune (dealers), Paris, 1920 ; with Durand-Ruel, Paris 1922 and transferred to Durand-Ruel, New York, by 1934 ; sold to Otto Haas, Haverford, PA, 1935; by inheritance to his son Dr. F. Otto Haas, Philadelphia; gift of F. Otto Haas, and partial gift of the reserved life interest of his widow Carole Haas Gravagno to PMA, 1993. 1. 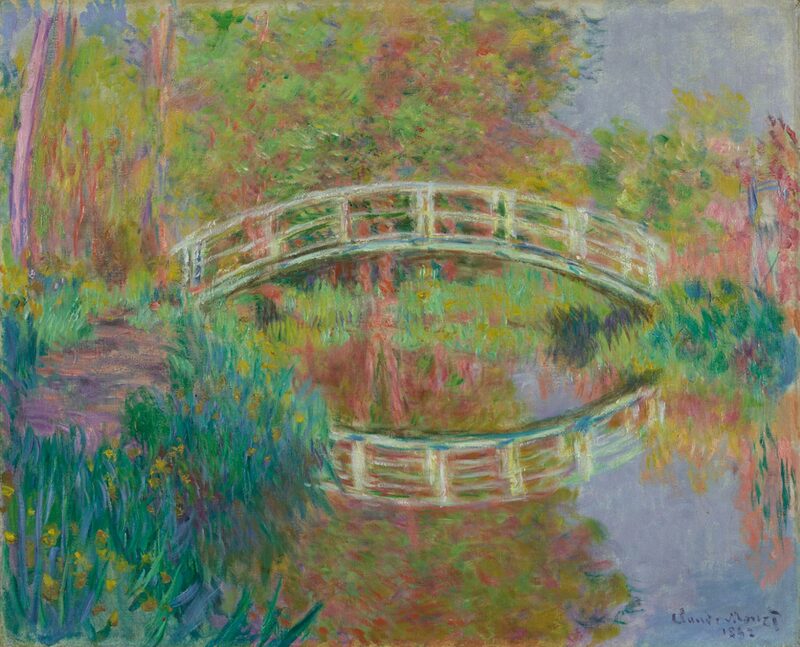 See letter of Monet to Durand-Ruel, Giverny, January 17, 1920 in which he states that he left three paintings, including Le Pont, with MM Bernheim-Jeune. 2. Exhibited by Durand-Ruel, New York, at the California Palace of the Legion of Honor in 1934.